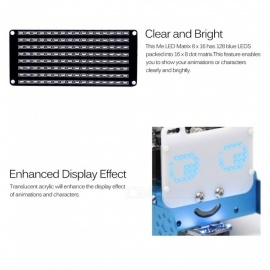 – 128 blue LEDS packed into the 16 * 8 dot matrix, brilliant blue for ideal display effect. – Customized graphical programing to achieve your own emotion, animation, scrolling-captions. 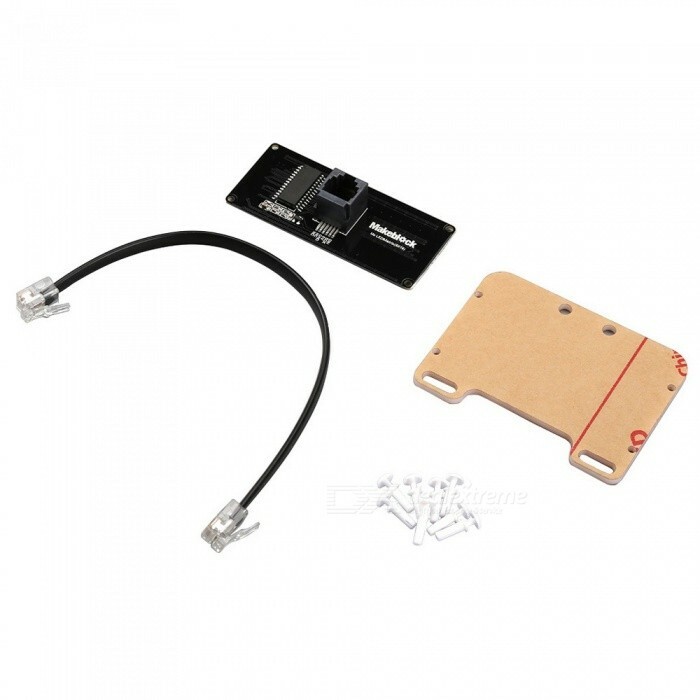 – Acrylic with M4 through holes can be easy assembly with other Makeblock parts. – For children and adult, bring more fun with mbot. What&apos;s Me LED Matrix 8 * 16? Have you ever imagined how vivid it would be if a dynamic face plate is added on your robot like mBot? Me LED Matrix 8 * 16 is an awesome place to start. You can create expressions, animations, or all sorts of other fun displays with them. Drag-and-customized your own emotion, animation, scrolling-captions with mBlock which is a graphical programming environment based on Scratch 2.0 Open Source Code. It makes programming projects and interactive applications easier thru simply dragging and dropping function block. This Me LED Matrix 8 * 16 has 128 blue LEDS packed into 16 * 8 dot matrix. This feature enables you to show your animations or characters clearly and brightly. Translucent acrylic will enhance the display effect of animations and characters. Specially designed M4 through holes on Me LED Matrix 8 * 16 enables you to assembly with other Makeblock items just by tightening the screws. This Me LED Matrix 8 * 16 is frequently-used together with mBot. Add this Me LED Matrix 8 * 16 to your mBot to color your experience of playing with the robot. It&apos;s highly welcomed by mBot users. 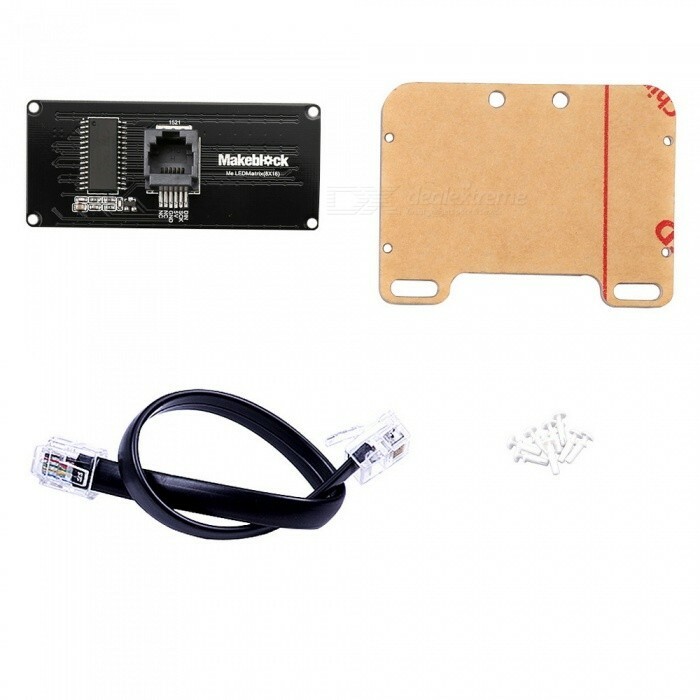 The mBot on the picture is not included, Please contact us for a bundle price.